Ajna works extensively with schools (preschool through college) to offer educational programs that are catered to the age of the students and the educational goals of the school. 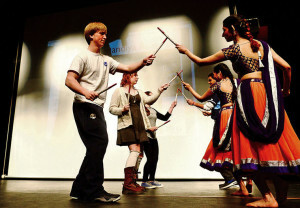 Part of our company mission is to share the experience of dance and culture with students of all ages and backgrounds. 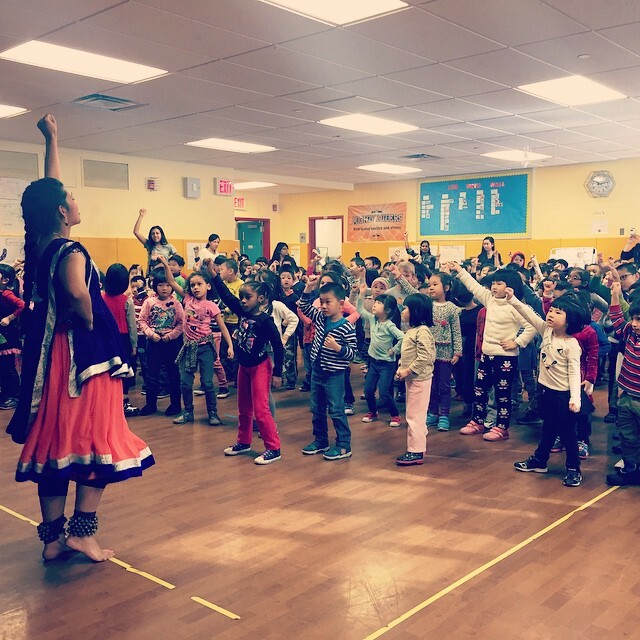 Our assemblies, workshops, and residencies introduce students to Indian dance, history, and culture in a way that is fun, detailed, interactive, and relatable. 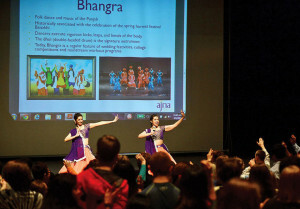 An interactive explanation and demonstration of some of the prominent styles of Indian classical (Bharathanatyam & Kathak), folk (Garba, Dandiya, & Bhangra), and film (“Bollywood”) dance, highlighting the significance of storytelling in these art forms. This involves active audience participation in learning facial expressions, hand gestures, basic movements, rhythmic counting, and more. Ajna also offers workshops for smaller groups such as individual classes, summer camps, field trips, or after-school programs. These programs allow for a more detailed interaction between an instructor and the students and can vary in focus, depending on the goals of the teacher and school. 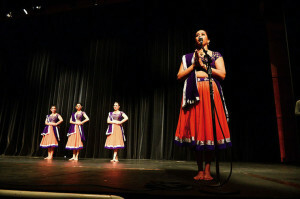 Past workshops we have done include ones on Bollywood dance, Indian mythology, Diwali, Children’s Day, Indian folk dances, basic movement and musical exploration, and more. For more information, booking, or to request a quote please contact us. Please enter your email address to stay informed about latest Ajna Dance news, events and special offers!.